The Institute for Social Change through the Arts (ISCA) was founded in 2014 by a group of passionate, forward-thinking artists and art lovers who see immeasurable possibility in the intersection of creating art, community, and social justice. ISCA is all about showcasing art - musical performances, art installations, films, poetry - for the sake of gathering the community and empowering people to work together toward social change. ISCA is concerned with progressive social issues such as realizing equal rights for all, ending poverty and homelessness, and giving voice to the marginalized. The Institute exists for the benefit of the Broadway neighborhood, the greater Seattle community, and as far as our influence can reach. Our mission is “to encourage, create, and foster artistic opportunities – giving voice to a diverse array of artists for the definitive purpose of social change.” Through concerts, events, shows, exhibits, and/or other artistic productions, we aim to create awareness and education, and motivate activism related to social issues pertinent to our community and culture. At Plymouth, our commitment to Christ's teachings is lived out in many different ways. We understand the church – and people’s individual faith perspectives - must be continually renewed and nurtured for each era and life stage. Plymouth Church UCC is a Christian Community open to the transforming Spirit of God. Our purpose is Growing people of faith who participate in God’s work in the world. Believing God’s love transcends all human distinctions, Plymouth welcomes people of all races and cultures, varied social and economic conditions and regardless of sexual orientation. Open and affirming of all people, we call all people to the cost and joys of Christian discipleship. Plymouth’s High School Ministry, Youth Forum, meets every Sunday at 10 am, an hour before the 11 am church service. About half the time the group stays together for the full two hours. Half of the time we spend the first hour in faith formation work on our own and the second at the 11 am service. The group includes teens grades nine through 12 from high schools covering the entire region. In addition to Sunday mornings, Youth Forum meets for events on Sunday afternoons, Saturday nights and occasional weeknights including movie nights, hikes, service events, overnights and retreats. You can find weekly updates on Youth Forum activities by clicking here. A highlight of the year is a week-long spring mission trip, traveling within thestate, to other parts of the United States and abroad to engage with issues of faith, economic inequality, justice, and peace. Through these times together the teens build a strong bond that extends beyond the normal high school social scene as they contemplate and discuss faith, ethics and meaning and live out service and community. “I intend to lead Plymouth with humility and grace, and promote ways to have the courageous conversations needed to journey together as God’s people. I see Plymouth, in the spirit of the Sankofa, looking back to honor the traditions and heritage of a church that is a pillar of Seattle, while flying forward with the gifts of those we honor, knowing that we the living are charged to imagine how we will be agents of change and compassion in the future. "Racial justice means celebrating humanity’s rich cultures and diverse ethnic backgrounds, traditions, and expressions of faith. Racial justice demands Christians actively, boldly, and without reservation participate in dismantling racism within systems and structures that oppress people, limit equal access, and denies children, women, and men their civil and human rights. Our intention is to disrupt and dismantle racism. It has no place in our world. It cannot be taught from the Old and New Testaments of the Bible, tolerated in worship spaces, preached from pulpits, or supported by the government. We affirm God’s creation. All people bear God’s image and likeness. And God desires all people be treated with dignity and respect." reSound's goal is to explore the art of choral singing, design creative connections to engage the heart of our human family, and celebrate the song within each of us. Formed in 2013 as a south Snohomish County sister choir to the Cantabile Chamber Choir of Mount Vernon, reSound, a Northwest Chamber Ensemble, is a small vocal chamber group that is choir-in-residence at Lynnwood’s Trinity Lutheran Church. reSound wants their audiences to have a different experience than they find elsewhere. They strive to connect the audience to the music & help them love the music as much as they do. reSound offers their audience insights into their music, a context for the music and lyrics. This is often in a more descriptive program and program notes, but may also be in the context of multi-media or spoken word. The Plymouth Youth Mission Trip was possible thanks to the leadership and guidance of Suzzanne Lacey, Nicole Czubin and Museum Without Walls, a non-profit organization, founded by Lacey, to give young people first-hand experience of civil and human rights history. Museum Without Walls coordinates educational and transformational trips for young people to meet with survivors, heroes and leaders of historical human and civil rights movements. Museum Without Walls will lead an adult civil rights trip to the American South Summer/2018. The trip will focus on issues highlighted in Bryan Stevenson's book Just Mercy, about his work on behalf of wrongly incarcerated inmates on death row without fair trial, children tried as adults and others caught in the cruel world of our judicial system. 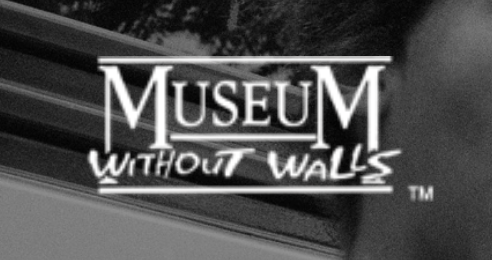 Learn more and support future trips at: MuseumWithoutWalls.org. All Pilgrims Christian Church is a progressive faith community that offers opportunities for worship, spiritual growth, ministry, and community. We have been a living, active presence in Seattle’s Broadway neighborhood for more than a century. Our congregation is a diverse mix of people—young and old, men and women, gay and straight. We come from a wide variety of ethnic, cultural, and professional backgrounds, as well as a wealth of religious traditions. We take pride in our diversity, and we welcome the full participation of all as equal members in our community. which truly values and celebrates diversity. and invest ourselves in the healing of prejudice, exclusion and hatred. Modern, challenging worship resources. Disrupt church as it has always been. Disrupt the powers that be. Bring your congregations along on a journey into abundant life. "God has not called us to admire the resolve of the oppressed while doing nothing to end their oppression." We decided that there was nothing more logical than three people across the country (Washington, Nebraska, and Baltimore) making some church stuff together. To make it more fun, we figured we'd bring some really smart friends along. We come from liturgical traditions and appreciate the beauty of the ritual, the timelessness of using words we have used for generations, and the way our rites tie us to Christians throughout time and space. But we also know that, all too often, these rites and rituals can become rote. The occasional new confession, litany, creed, or song can go a long way to shake people out of their faithful slumber. The confession that names things people actually do, the litany from scripture that calls us out on our behavior, the song that deals with the complications of life – these things can all have a deep impact on the people in our pews. We can disrupt worship through use of new music, art, and preaching commentary from diverse voices we don't often hear from: people of color, members of the LGBTQ communities, people with disabilities, mental health issues, and laypeople. We hope to create and collect resources to help break leaders and congregations out of their staid patterns -- patterns that often implicitly (or explicitly) prop up white supremacy, sexism, and other forms of oppression.